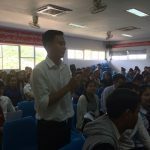 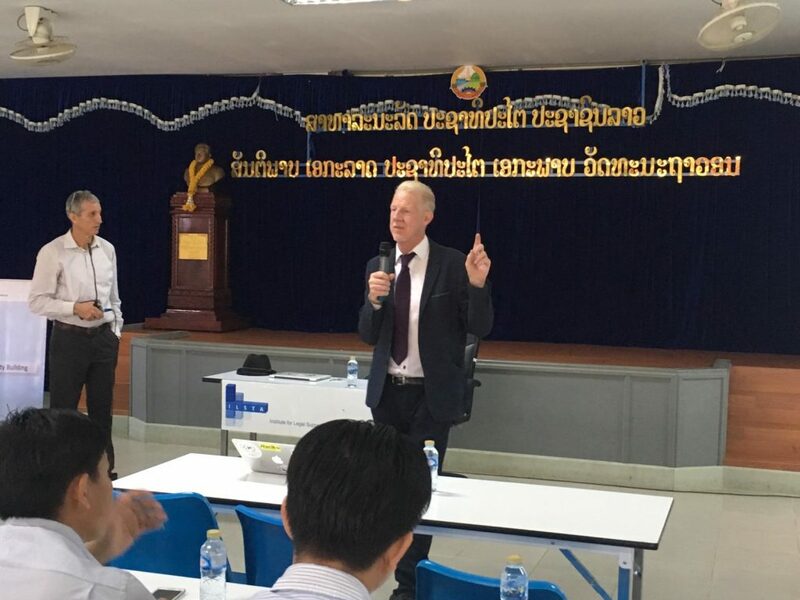 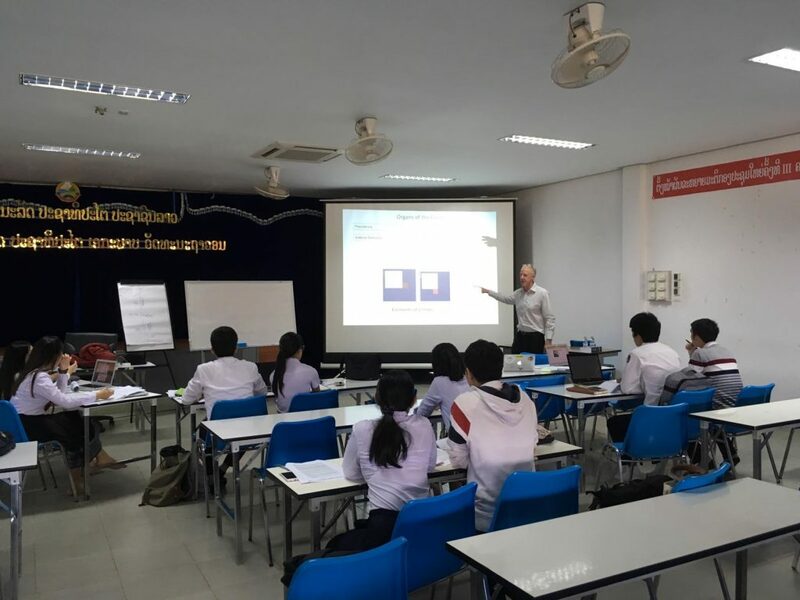 Dr Lawrence Siry, Lecturer at the University College Cork (Ireland) and former researcher at the University of Luxembourg, visited the Faculty of Law and Political Sciences of NuOL (Vientiane) from 5th to 9th of November. 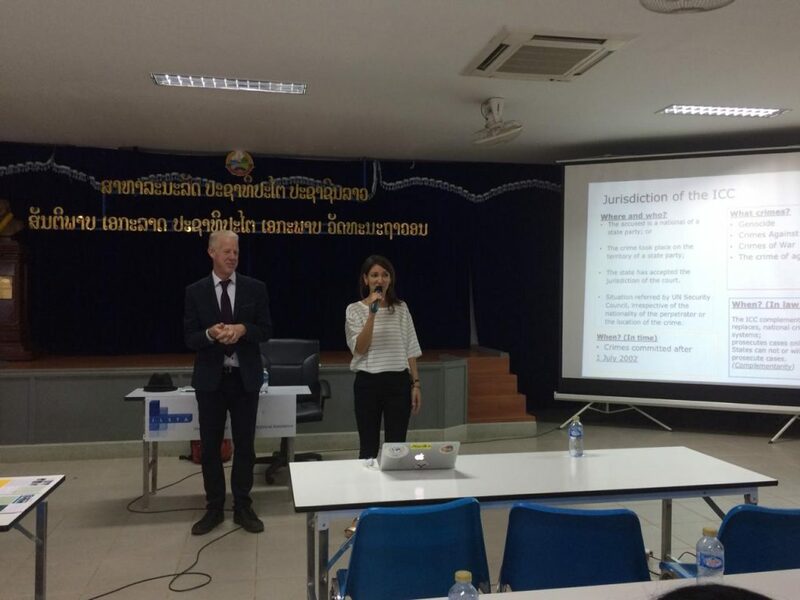 He gave the second open lecture organised with the support of ILSTA for this academic year on the 7th of November on “Structure and actors on international criminal law” for more than 100 students and teachers of the FLP. 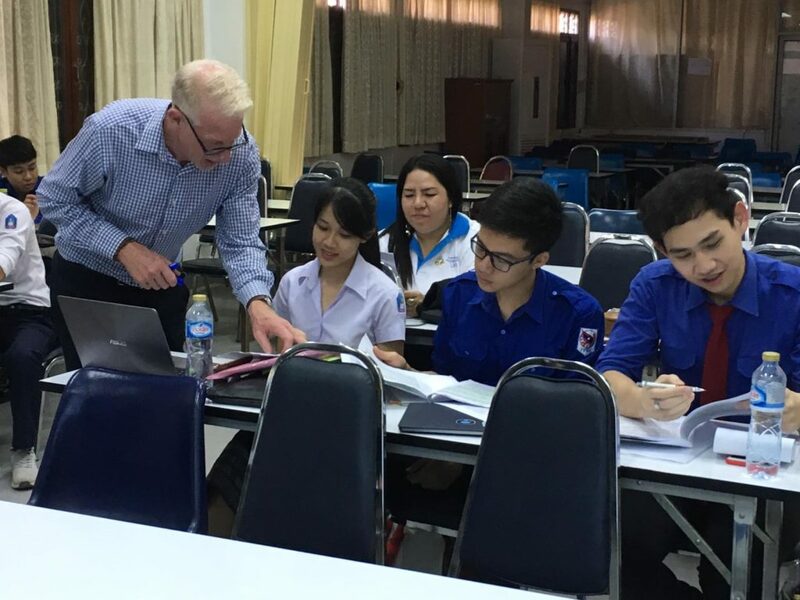 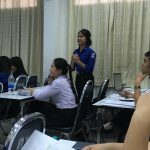 He also led a week crash course on mooting to prepare the students of FLP for the Red Cross International Humanitarian Law Moot, competition for the Asia-Pacific Region.